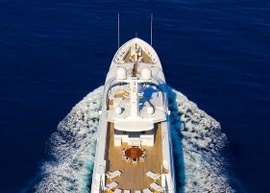 DUCA Solutions team is happy to announce that we have recently completed replacing all teak decks on 52 meter Perini luxury super yacht S/Y Squall in Palma de Mallorca. 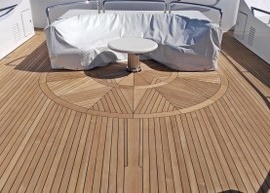 All decks have been prefabricated by CNC machine in our main factory in Italy and installed on board of the Yacht in Palma by our local Mallorca team of experienced teak deckers. 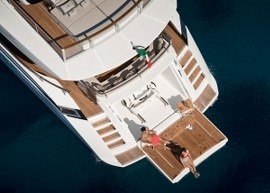 DUCA Solutions have completed the installation of teak decks on the newly launched M/Y Kalliente by Dominator Yachts. Our company has delivered fully CNC prefabricated teak decks, steps, hand rail, all gratings and jacuzzi profile. The vessel will make a public debut on upcoming 2017 Cannes and Monaco yacht shows. One more teak refit project have successfully been completed by DUCA Solutions this winter - 57 meter Abeking & Rasmussen M/Y Diamond A. 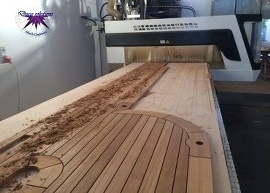 On M/Y Diamond A we have carried out the complete Turn Key project starting from removal of old teak, leveling the surfaces, prefabricating new decks and steps by CNC and installation on board by vacuum by our team of highly qualified teak deckers. 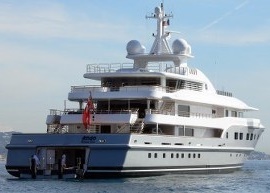 DUCA Solutions have completed replacing of teak decks on 50 meter motor yacht M/Y QM of London built by Benetti. 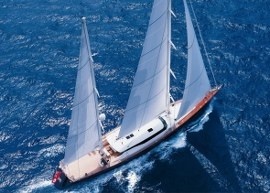 This was not the first time we have worked on this Yacht refit. In February 2016 some other decks of M/Y QM of London were replaced also by DUCA Solutions. The vessel is currently for sale. DUCA Solutions team is excited to announce that following a major growth this year, we are expanding the production capacity by constructing a second floor in the current teak factory in Livorno, Italy. 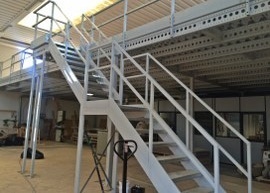 After a purchase of a large CNC machine earlier this year and having signed varios large decking projects simultaneously, Duca has faced the necessity of creating an extra floor space and increasing production capacity, for still having the access to all the modern woodworking machines and CNC production in one factory. Teak decks by DUCA Solutions on the 2 largest trimarans in the world! 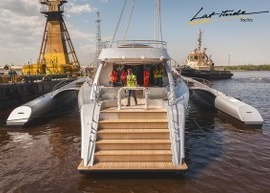 DUCA Solutions is proud to have taken part in the construction of the two biggest trimaran superyachts in the world recently launched by Latvian shipyard Latitude Yachts! Exterior decks, steps and jacuzzi of both vessels have been laid with naturally grown Burmese teak, fabricated and fitted on Teak decks by DUCA Solutions on the largest trimarans in the worldboard by DUCA Solutions' craftsmen using the innovative vacuum technology for the secure adhesion and long life of installed teak decks. DUCA Solutions have taken part in recent refitting of the 71 metre superyacht M/Y Kogo in the Lloyd Werft in Bremerhaven, Germany. Apart from the replacing some teak decks and re-caulking of the other decks, we have produced and supplied exterior deck furniture such as teak tables and sun beds.